Boy wizard Harry Potter – the boy who lived – has taken his place as one of the all-time great characters of literature. His story has become a myth in its own right, weaving together an enchanting blend of school hi-jinks and magical fantasy. 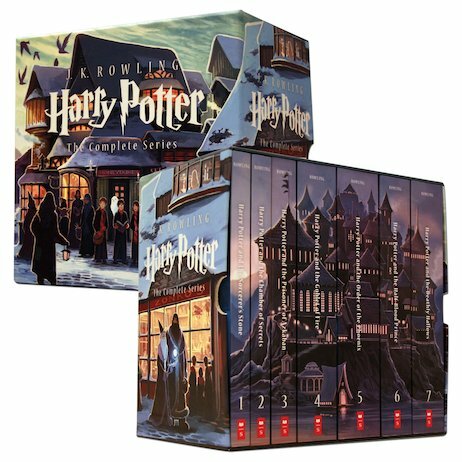 Now you can own the complete collection of all his adventures with this special boxed set. From Harry’s first day at Hogwarts to his final battle against the evil Lord Voldemort, these stories will cast a powerful spell on you. I LOOOOOOOOOOOOOVE it!!!! J.K. Rowling is SOOOOOO talented! !